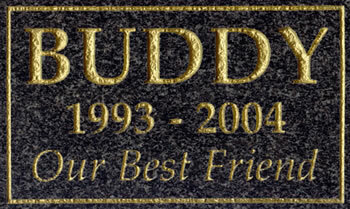 The memorial marker will hold up to 3 lines of text, with a optional decorative accent as shown in the image. 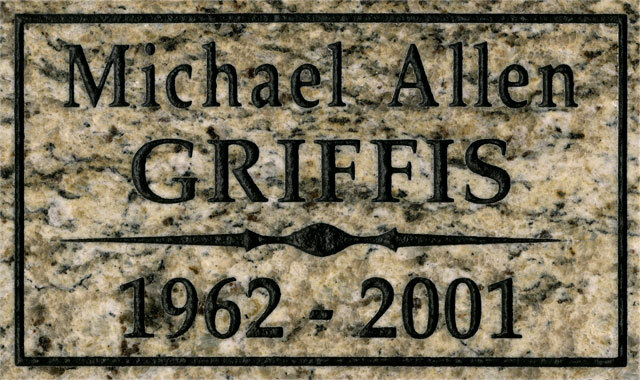 Q: Granite Memorial Marker CF 6502 can this be mounted on a stake? I'm looking for something to place in front of a headstone. The headstone is parents and this is something for a son.